WINOGRAD CUBS...Hitting it out of the "PARCC!" In preparation for state mandated testing, our students wrote personal goals for themselves which would help them demonstrate excellence every day. The goals were written on stars, and the cascading stars were displayed in the main lobby of the school to encourage all of our students to "show what they know!" Congratulations to our Kitchen Manager Mrs. Annabel Garcia! 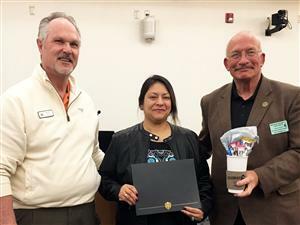 She received one of the first "Celebrate 6" Awards from Superintendent Dr. Deirdre Pilch at the Greeley/Evans School District #6 School Board meeting which was held on April 24, 2017. She and four others were recognized as amazing people who go "above and beyond" to assist District #6 in providing the best educational opportunities possible for all students. She was specifically mentioned as an employee who is a kind and helping member of the kitchen staff here at Winograd. 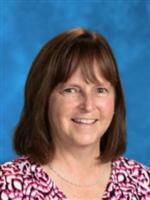 However, we know her as the awesome lady that feeds us every day! She is pictured above with School Board Vice President Steve Hall and President Roger DeWitt. TEACHER & CLASSIFIED EMPLOYEES OF THE YEAR! Certified teacher, Mrs. Sarah Gerbers (Second Grade) and and Classified employee, Mrs. Caren Renee Haining (Secretary) were nominated to represent Winograd at the May 2017 "Teacher of the Year" Celebration. While they were not selected as the overall winners, we are proud of them for their dedication to Winograd and for being the top nominees of the staff as voted on by the facutly/staff of Winograd! Winograd's own Mrs. Delia Haefeli was named "Teacher of the Year" at the Greeley Chamber of Commerce & Success Foundation Celebration on Wednesday, May 12th. The annual event recognizes achievement and vision for the students of Greeley-Evans School District 6. Mrs. Haefeli has been a 6th Grade teacher at Winograd since we opened our doors to middle schoolers in the fall of 2006. We are proud of her, and grateful that she has touched the lives of so many CUBS. Kudos also to our Office Manager Mrs. Karen Archibeque. She was nominated for the "Classified Employee of the Year." 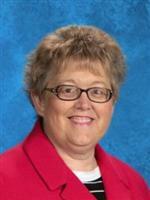 We are very fortunate to have her "minding the store" here at our school. She embodies what it means to be a CUB! On Monday, May 4th, 2015 Ms. Bressler was named Principal of the Year at the “2015 K-12 Education Celebration.” This annual event is hosted by the Greeley Chamber of Commerce and the SUCCESS Foundation to honor area students, teachers and administrators. It was an exciting night for the CUBS family! Over twenty-five Winograd Faculty & Staff members were on hand to celebrate Ms. Bressler’s accomplishment! Seated on the left in front of the group is Ms. Bressler’s mother, Lucille Bressler. The group ended the evening with the singing of the Winograd school song! On Thursday March 13, 2014 the United Way hosted their annual Celebration of Excellence luncheon at UNC. At the ceremony, Principal Holly Bressler accepted the “Community Impact Advocate Award for Education” (Youth Success.) We are proud of her! WINOGRAD HABITAT HAS A NAME! A Fitting Tribute to an AWESOME teacher! At the last staff meeting of the year, the staff presented a sign to honor Mrs. Jansen-Hedricks upon her retirement. She established our school's outdoor classroom in the fall of 2006 when she first came to the school as a 6th grade Science teacher. The flourishing habitat is a testament to her faithful dedication to her students, our school and our earth. We will miss her and wish her well!